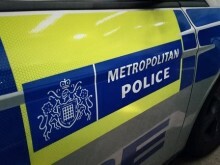 Police were called by LAS at 16:42hrs on Tuesday, 5 February to Westmount Road, junction with Elibank Road in Eltham, following reports of a road traffic collision. A car is reported to have been in a collision with an 11-year-old female. She has been conveyed by London's Air Ambulance to hospital, where she remains in a critical condition. Her next of kin are aware. The driver of the vehicle has not been arrested and is assisting police with their enquiries.